The truth is, the creative life is fraught with fear of disappointment. I fear I will disappoint folks all of the time. I fear I will disappoint people who I have signed contracts with, people I am working on commissions for, people in my classes. I truly NEVER want to disappoint anyone, EVER! But, the reality is, each time you step into a new space, a new project, a new venture that fear that you may disappoint someone begins to creep on in. Fear, disappointment and expectation are all tightly knit together. What do I believe others expect of me? Am I truly capable of following through? Will I make a mistake? This disappointment stuff can get real. Occasionally, we do receive a rejection. Sometimes we do make a mistake. Sometimes people share their disappointment with us. Sometimes we double book and have to back out. Sometimes we feel like flakes and failures. It's true. Some of this stuff ain't pretty. As it is the beginning of the year, many of us are focusing on what we hope to achieve and create for the new year. I applaud each of us for that, congratulations on new adventures! It is also wise to prepare yourself for what you may do if a kink gets put into any of those plans. It's smart to prepare your mind for the possibility that things sometimes wont go smoothly, what then? In a recent post, I shared that I was engaged. I know that our common understanding of that term was to make a particular announcement regarding a significant relationship choice in ones life, but I was using the words to share a point about being awake and plugged in to life. The engagement post definitely got some attention. But the relationship status within yourself and within your life is just as important to take note of and celebrate! I believe celebrating that connection within ourselves is definitely significant. The reason being, it's not always in good status. We often go through long periods of separation from our authentic selves. We go through times in our lives where things aren't flowing and where we don't feel like our best selves. We go through times in our lives when things are not in order, they are not working out, and we simply can't catch a wave. What do we do when we aren't in the creative flow, but we so desperately want to be back there or to find it in the first place? I used to live in a city where there was a big, beautiful IKEA. I have always had a major fascination with IKEA. Maybe it's because I am a sucker for brilliant, efficient, and stylish design at an affordable cost, (who knows?) but I remember the day when the new IKEA catalog would arrive at my apartment with great fondness. I looked through it again and again. Sometimes, I would make excuses to go to IKEA and walk around; get a coffee, explore what life would look like in their mini apartment set ups offering different square footages. IKEA calmed me down. It gave me the sense that all things could find order. You just need these special little organizing boxes and this special hanger for your closet that organizes your scarves and hangs them perfectly. Also, you need these candle holders, this throw pillow, and this utensil organizer for your kitchen drawers. Brilliant! Then my life will be perfect. Then I'll truly be in the flow. Then things will be, well, they'll be perfect finally. Perfection is a fantasy that does us a major disservice. Because the truth is, even if I had everything organized and the laundry done, at the end of the day the clothes I am wearing while I did all of that cleaning and laundry will still be dirty. They may be the one set of clothes in the laundry basket, but just as soon as that laundry basket is completely empty and perfect, I mess it up by living my life. In the studio, I may get every paint brush in the perfect paint brush cup and every canvas prepped and ready to go, but as soon as I embark on the journey of a painting there is something left unfinished. I cannot ever get it all done. I cannot ever get it all perfect. I cannot ever get it all right. Coming home to your creativity, means living in the dissonance. Embracing imperfection means living in a sweet, authentic space with yourself where creativity is truly possible. Over the holiday break this year, I focused on letting it simmer. I enjoyed the sweetness of rest. I let things simmer and integrate, fill up, and fully flavor my life. This has been really good for my creativity, my art, and ultimately the work I do here with you at Art Nurture. It was a good time. And quite frankly, I realized how much I love sleep and movies and eating slowly. Then the New Year rang in and it was time to celebrate & push restart. Whether you are all for New Years Resolutions or really against them, the New Year makes itself known. We realize it is a new year every time we realize it's January. Every time we realize that we put the wrong date again on some piece of paperwork we have to fill out. Every time we hear people talk about all the new stuff they are starting or all the old stuff they are quitting. Whether we like it or not, change occurs and transition is necessary. I have honestly resisted some changes in my life so hard that I probably caused myself more pain through the struggle than I would have experienced from the change alone. These days I try to listen to those things. I try to pay attention to what the resistance, the fear, the frozen-ness, the struggle are trying to tell me. Because I realize the quicker I deal with those things, the less I stress and the more in the creative flow I can be and live a life doing the work that I love. So these days, I like to let it simmer like cinnamon. I like to focus on what works and pour more into that well. What works for me, is me working with you. I love working with you and I love what has been built here so far and I look forward to more of that going forward. Let's start this year off right. Let's make the stuff we believe in and let's give our best to our families, our communities, our art, our work, our gardens, our pets, all of it! At the beginning of 2014, just a few short months after Art Nurture: The Simple Guide to Cultivating Your Creativity was released I embarked on a beautiful and unknown journey (and some of you came with me!). I had always hoped that from the book being released out into the world, a community would grow. I had hoped that this community would be one filled with people who were seeking to live out their authentic Art Nurture Journey, living their creative potential for their greatest good and sharing it with the world. So in January of 2014 came the first ever Art Nurture Book Club. We had over 40 members from all over the globe and we had weekly live calls and went through the entire book together. The conversations were amazing. I was so honored to have people reading the book together and sharing openly with one another. Quite frankly, the entire thing was magical. It really blew me away and I found myself craving more of this interaction with all of you. Not only was I jazzed, but the people who were a part of our BETA round made some amazing moves for themselves in their creative pursuits. Some gained clarity, some began sharing their work more, some made more art, it was awesome! The focus of our calls each week was that we would celebrate exactly where we were at, we would get down to the nitty gritty on our struggles, and we would take real actionable steps to move forward. So here we are, 2015 well under way, and I am honored that you take the time to hang out here at Art Nurture, it means a lot to me and I am here sharing this work for you, because quite frankly it feels too good to keep it to myself! It's better and more fun to share! I love hearing what each of you are working on, and up to, and thinking through. Thank you for sharing, keep it coming! 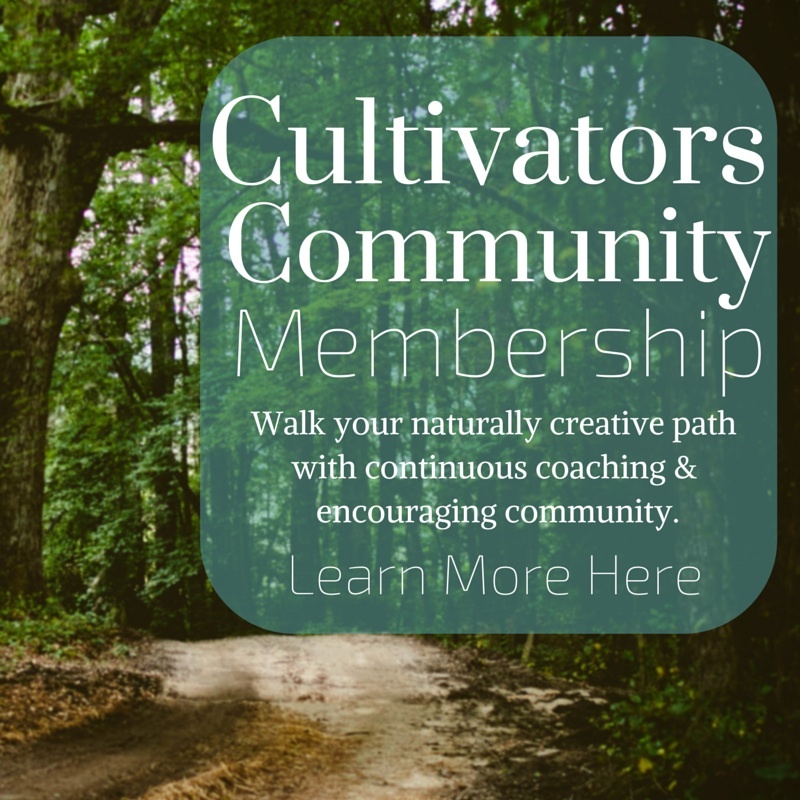 I also want to invite you to join the Cultivators Community 2015! Our first "official" call will be next Wednesday, January 21st 2015 and we will keep going through the rest of the year! If you are interested in joining the group, learn all the details and register here. If you choose to join the Cultivators Community, awesome! I look forward to talking with you at our regular monthly calls! If you have questions, please feel free to write me and ask because this is a conversation and I do take the time to read e-mails as quickly as possible. If you are like many of us, you may be experiencing burnout during this time of year. The end of the year demands a lot of us. Holidays, wrapping up loose ends, travel, winter, getting ready for the new year....It can be a lot to handle. When you add into that work, family, service, perhaps a business or art your also nurturing and all of the tasks each involve, it is easy to see that burnout and exhaustion can hit hard at the end of the year. In fact, it's rare to really and truly relax and rest during the holiday season and to feel fully caught up before the new year is upon us! You may be heading for burn out or you may be avoiding it at all costs. Either way, the concept of burn out has a lot to teach us as one year ends and another begins. What burnout & the fear of burnout have to teach us is incredibly valuable. 1. Burnout may be showing us that we are not super skilled at managing our daily calendars. This is a lesson hard learned. But one I have come face to face with many a time. Scheduling your day so that you get your most important work done FIRST can often be the key to success in this area. Don't put it off until the very last bit of the day when your energy is waning. Also, scheduling your day without building in time to drive from one place to the next can have us constantly 15-30 minutes behind schedule ALL DAY LONG! Don't do it to yourself. You'll carry stress into each activity, meeting, and social gathering of the day if you are constantly running behind because you didn't build in enough time for travel or for nourishing your body through food. 2. Burnout may be showing up to let you know you need to value your sleep a little more. It's hard to show up for your family, your job, your creative work without getting the much needed Zzzzzs. Compound that with weeks or months of lack of sleep and you are racking up a serious sleep debt. As someone who has struggled to get a healthy sleep schedule, I now know how valuable it is in my life. It keeps me fully present during the day when I have classes to teach, e-mails to write, and creative projects to focus on...I'm not much fun and my work doesn't shine (let alone my interactions with others!) if I don't get some Zzzs. 3. Burnout may be showing up to let you know that you need to re-prioritize your daily activities. In my 1-on-1 coaching sessions, a theme that comes up for many of my clients (and also me too!!!) is the feeling of not having any time. In many cases, when we dig deeper we can turn up some time by reclaiming it from activities that are not in line with the priorities stated. We can also reclaim it from periods of time that have been plagued with inaction. If you find yourself running from one activity to the next that does not actually line up with your deeper purpose and your individual set of priorities, you will be experiencing burnout. Burnout is a great opportunity to re-prioritize your day-to -day. 4. Burnout may be showing up to let you know that you are not aware how your daily activities DO in fact serve your priorities. Most of us have activities we must do out of obligation, like get our drivers license renewed at the DMV. We could easily consider that activity draining, especially to our creative energy, but when we take a closer look at that activity, we can see that being able to drive a car is in fact a privilege. That particular privilege allows you to do many other things that do feed you and your priorities and making certain you have all of the paper work in order to do such a thing is really serving your greater purpose! No need to let it drain you and burn you out at all! Just an opportunity to become more aware and take control of your energy by shifting your perspective. 5. Burnout may be showing up to let you know that you don't really know how to say 'Yes' and how to say 'No'! This has been a HUGE one for me. I have worked on this for years and I work with my creativity cultivation clients on this regularly. We have to realize that, when it comes to honing our creative energy, every time we say 'Yes' to something we are voting for it to have a place in our life. Every time we say 'No' to something, we are voting against it having space in our life. These are two very powerful words and they work internally and externally, though they are often hard to get a handle on, they can change your art and your life. Burnout may be something you go through only once before you learn to make a change or, if you are anything like me, you have to go through it 20+ times to learn to make some healthy changes! A lot of folks put off change of any kind during this time of year. They say, 'I'm not going to change now. But the truth is, now is the perfect time to tune in and listen to yourself. Check in with yourself and you can ease those burnout symptoms before they get out of control. Plus, how are you going to start all your amazing creative projects on January 1st of this year if you are suffering from serious burnout? It'll be March before you know what hit you! Take some time to honor the efforts and slow down. Be grateful for all that you have accomplished already. Be gracious towards yourself as a person. Be joyful as you move forward. Now it's your turn! Has burnout taught you a valuable lesson? If so, I would love to hear it! Please share in the comments below. Is quitting the right choice? How to know when throwing in the towel is best or when you are just one tweak away from genius! You may not know this about me, but I think about quitting a lot. In fact, on an almost weekly basis the thought of quitting something I am doing crosses my mind. The truth is, we really can't do everything. So sometimes it is wise to let go of some things. But how do you know when you should actually quit? The thoughts that run through our minds about quitting are bringing up opportunities for evaluation of what is really happening. Am I quitting because I think I am a failure? If I think I am a failure, how have I measured and clearly defined what success would be in this circumstance? If you are just picking up an instrument and not playing in Carnegie Hall within the first six months, thats a good thing. You probably aren't there yet. Also, you may need to be realistic with yourself about the stats. That doesn't mean that you can't expand to a success on your own terms and by your own defining. But don't be unrealistic with yourself and then throw in the towel! You have to create a full picture situation in which the process can unfold naturally. Have I given myself enough time? Have I sought to educate myself on this? Talked to experts? Taken a class? Invested practice time? Do I expect to turn this into a business without treating it like a business? A lot of folks do want to earn money from their art. This is totally a fine path to take if you are willing to realize that that means you are taking your art and adding the added dimension of building a business. In that respect, thinking about it like a business is going to be a smart thing to do! Do I still experience joy when I do this? Some folks quit what they are doing because some aspect of it ceases to bring them joy, when really, they may not need to quit the whole thing. I have a client who was frustrated by the production aspect of sewing. She had a full time job and sewing had become a beloved hobby. Then the orders started pouring in and then she got a large wholesale order. After working till all hours for months to complete the wholesale order, she didn't want to sew anymore. The production aspect of sewing made her want to throw in the towel. 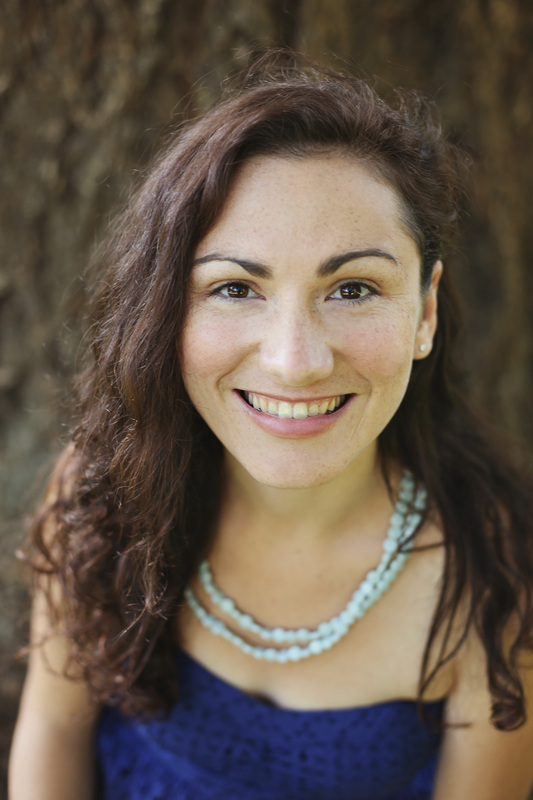 She realized she didn't want to do things it would take to do (hiring other people, purchasing large amounts of fabric, filling large orders, and dealing with wholesalers) to ramp this up into a full time business. When she took the business out of her sewing, she loved it again. She now only does orders for friends and family and each piece is custom. That is the way she likes it. That is what makes it fun for her. Remember, this stuff is for the love of the game. who we become in the process. In the process of working with my young horse I have become frustrated and disheartened on more than one occasion. One of my horse friends who trains horses for a living said, "Court, this stuff isn't easy. If it was, everyone would do it. You've gotta be patient with yourself and don't give up." I still really enjoy working with my horse. I do it for the love of the process. I'm never going to be a traveling horse whisperer or anything like that, I know the place that it has in my life. When I readjust my expectations and I see the joy I get from the process clearly, I can focus on that when the comparisons with others or the self-criticism or the overwhelming urge to throw in the towel pops up in my head. This puts it in perspective even if you are pursuing your art as a business also! Focus on the joy of the process. Focus on the joy of the connection. Be realistic with your self-expectations. Be open to learning from others and getting training and education when necessary. Get clear on who you want to be in this, no matter how you pursue it. For example: I know I wont get a chance to talk to everyone in the world about their creativity, but I know who I want to be in the moments where I get the opportunity to work with the people I do get to work with; I want to be fully present, I want to be authentic, I want to be a good listener, I want to be an encourager, I want to be a person who can share insight and be a catalyst for growth, and I want to have joy! When I put it that way, it's easy to see, even if I am not hanging out with Oprah, that I am still meeting my standards of success. I'm still enjoying the work. No need to quit or throw in the towel yet! Have you ever felt like quitting but just really just needed a small tweak and perspective shift instead?